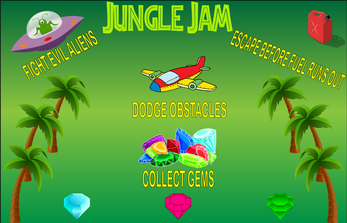 Jungle Jam is a high speed run through a lost civilization. Try to make it out alive. Survived? Splattered all the aliens? Collected all the gems? If you did it fast enough, you might just obtain that elusive S rank.